There’s nothing like a beautiful wreath to dress up a door, welcoming friends and family; or adding a wreath inside the house to easily change up décor. 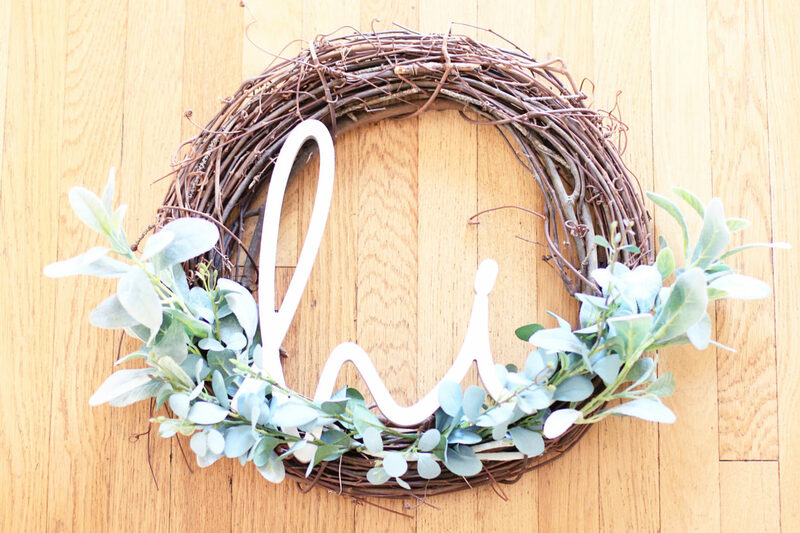 Here’s an easy DIY wreath you can do in 30 minutes or less. 2. Cut your greenery and arrange however you would like and attach to the wreath using wire or hot glue. Keep in mind if you hang your wreath someplace that gets a lot of sun, the hot glue will melt, so you will need some other kind of adhesive (E6000 would be a good option). 3. Add your embellishments at this point with glue. 4. Next, fill in any gaps or cover any exposed wire with extra greenery. 5. Last, hang or prop somewhere beautiful and wait for your friends to ask you where you got it! It’s always fun to have new décor, especially when you didn’t spend hours or break the bank to get it!